This was a challenging commission that is nearing completion and will soon be shipped to Washington DC. 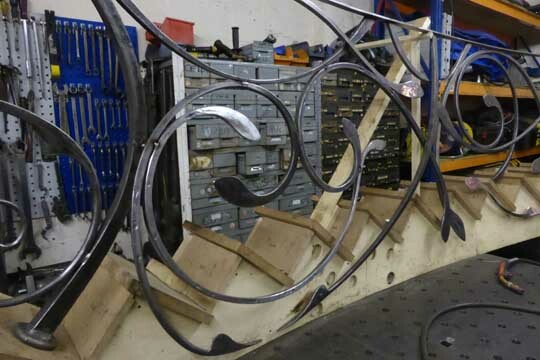 My customer was attracted to the flowing, sweeping, curvilinear designs used in many of my previous commissions. 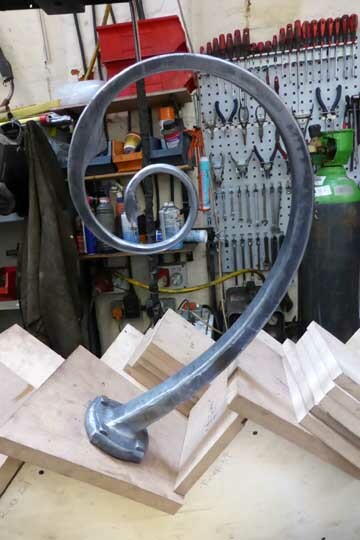 However his staircase is curved and so my metalwork would need careful hand forming to accurately fit the woodwork. Because of this, I was flown out to Washington to fully evaluate this project and get a sense of how a possible design would sit within its environment. 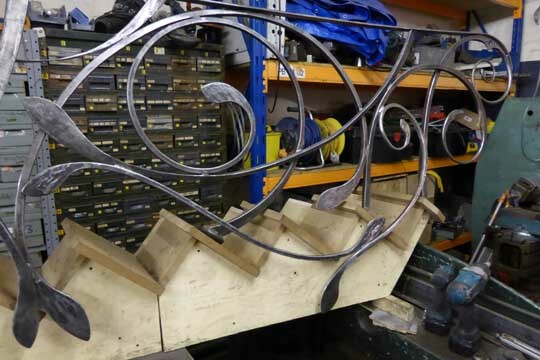 We decided that the best approach was for clients joiner to make a replica of the wooden stairs which could be shipped to the UK. 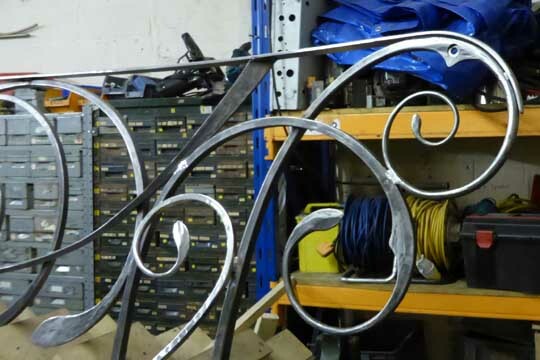 I would then use this model when building the balustrade to ensure that its fit over in the USA was millimetre perfect! The design is a mixture of polished stainless steel and burnished and waxed mild steel. 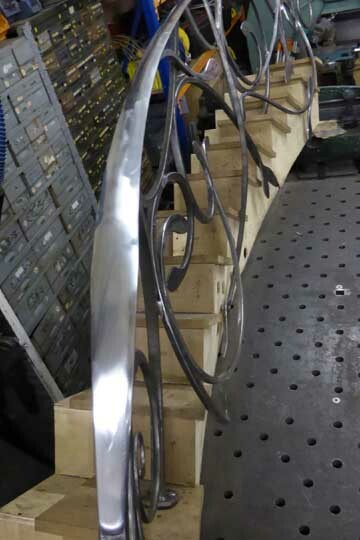 The stainless steel handrail was given a mirror finish polish. 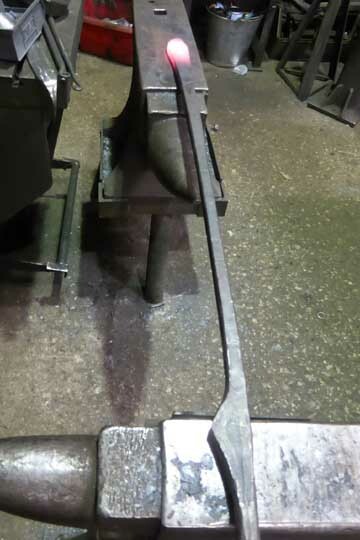 All of the metalwork was forged to shape to obtain the dramatically varying cross sections used throughout. The staircase is a gentle helix which curves round as it rises.